Poetry: Lontano (Far Away) by Amy Carroll Bennett | LADY. I sit at my window and stare at the trees, but I don't really see them. My eyes are far away in a pine-covered park where you sit smoking a cigarette. curling upward to the clouds. My eyes follow you down narrow roads and winding paths. I am your shadow on the summer streets, yet I never leave my chair. For though I am here, faraway, my eyes, my thoughts, my heart are with you. At last I go about my day and as I wander here and there, I feel your eyes on me. I work and eat and sleep and I feel your thoughts with me. 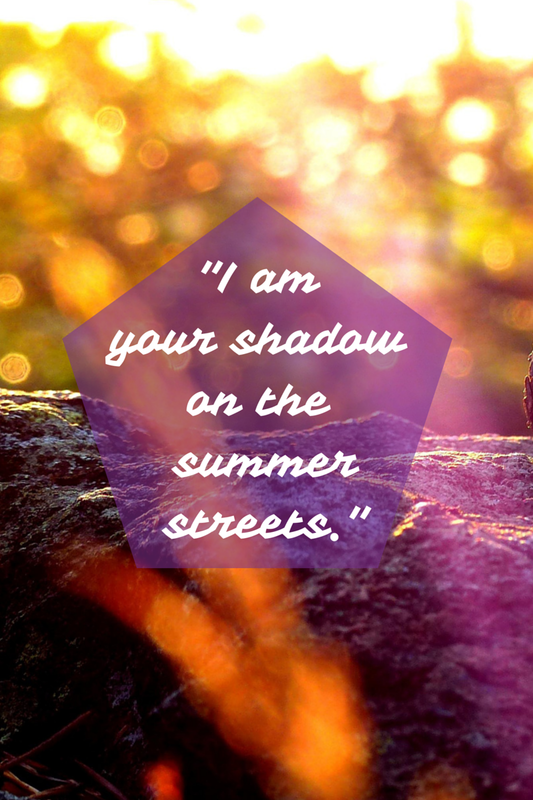 You are my shadow on the summer streets. Your heart is with me though you are far away.